Hit a Strike – complete 120 unique packs in this new solitaire! A dozen packs with 10 levels each – care to risk it and complete them all? Unique setting for solitaire games in bowling hotels. Two levels of difficulty for those who like to indulge themselves to the full. 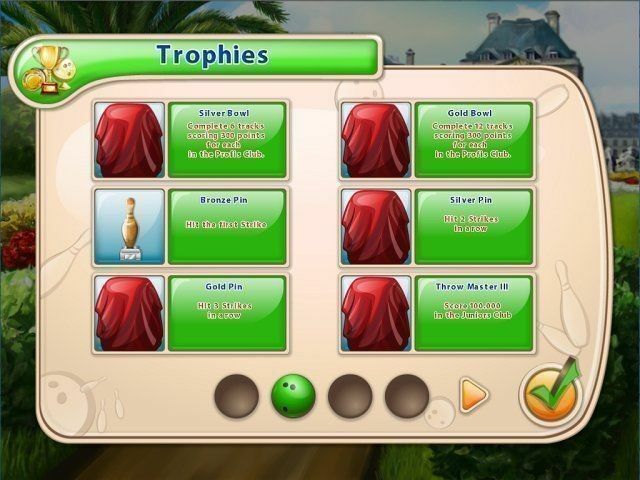 Numerous bonuses available for purchases in the in-game store. Over 4 hours of gameplay. 24 trophies. 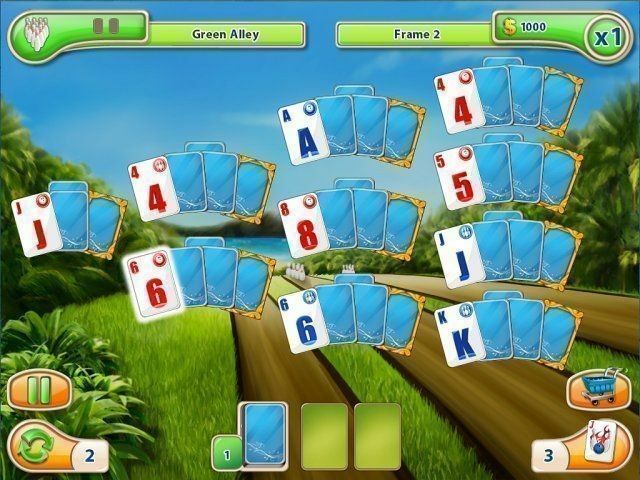 Solitaire or bowling? Two in one! 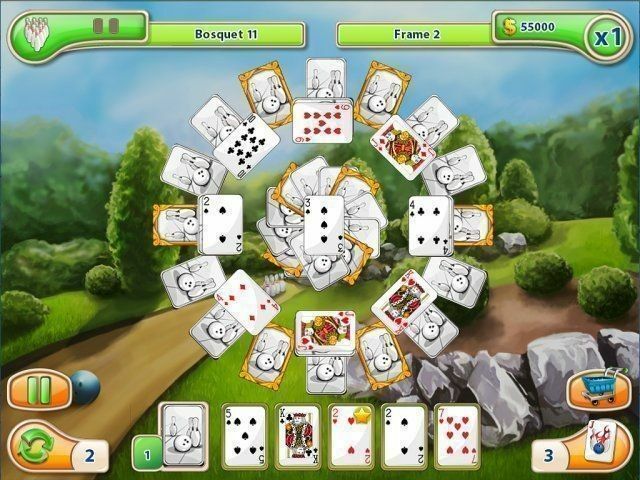 Complete 120 levels in Strike Solitaire! 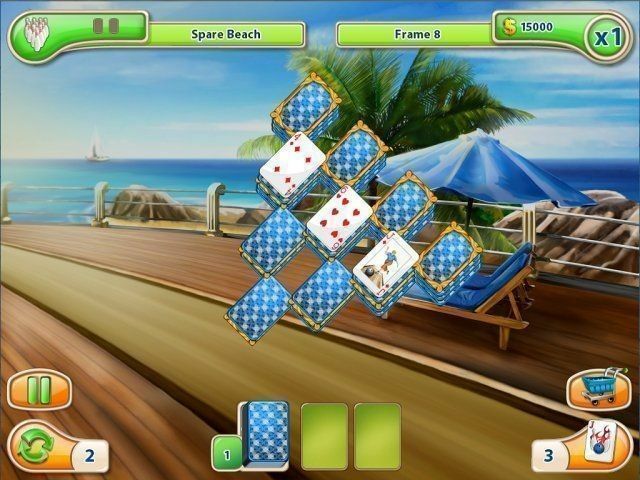 The game utilizes a unique setting for solitaire games where the action takes place in bowling hotels offering a wide range of recreation services and outdoor sporting activities. 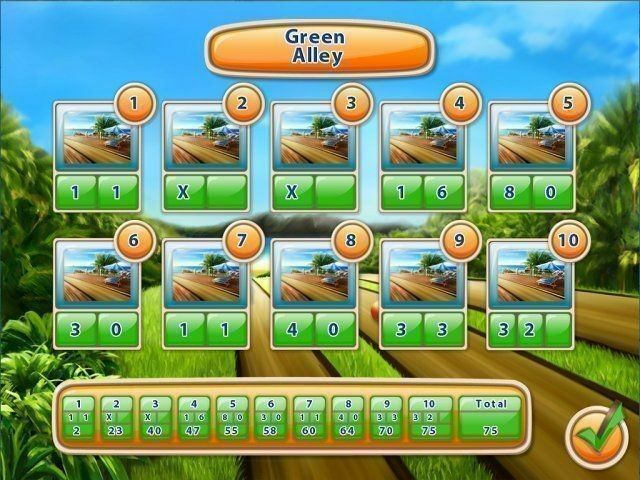 All levels are split into 12 packs, 10 levels each. Each level symbolizes one frame of a bowling match. All levels look like a solitaire set of cards. Players should remove matching pairs of cards from the game board in order to complete all the level goals. The goal of each level is to remove 10 special skittle cards from the game board. By doing that, players earn money. 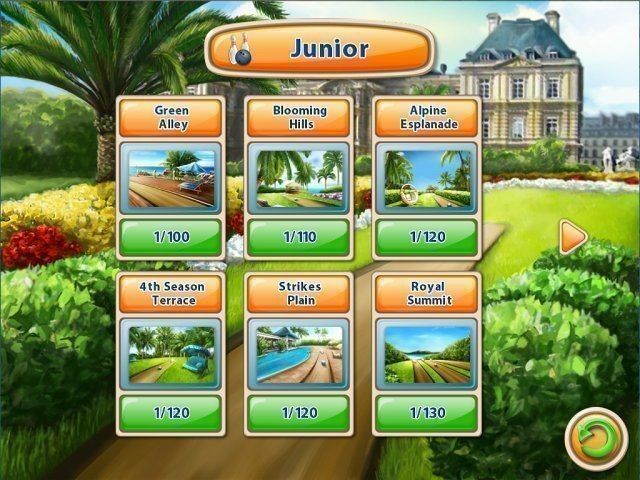 The amount of money players receive on each level depends on the type of the matching cards and the multiplier. Upon the completion of each level, players also earn scores (just like they would earn scores for each frame in a bowling match). The number of points earned within the whole frame is calculated according to the attained scores.